Tax Season is upon us! You might be wondering what comes next. Don’t worry—we’ve got you covered: follow these 5 simple steps to make your filing process smoother than ever before. 1099s were sent out on January 31st. 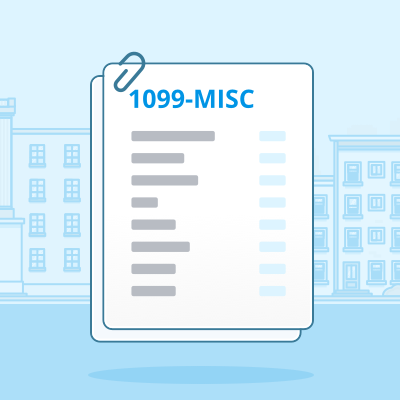 If you earned more than $600 as a independent contractor, you can expect to receive a 1099-MISC documenting this income. Third party networks like Uber and other apps may not send you a 1099-K unless you had more than $20,000 in gross income and over more than 200 total transactions. If you did not receive a 1099 from a third-party service, you’ll simply want to visit your user dashboard in order to determine your stats for the year. The most important information to collect is (1) your Gross Earning, from which you’ll subtract (2) Deductions and Fees (on line 10 of the Schedule C). Alternatively, you could report you Net Payout, which will already reflected the deducted fees. In addition to your income documentation, you’ll also want to collect receipts for any deductible business expenses. If you were tracking your miles and expenses with Stride Tax, you can simply export your deduction reports, and gather up any other expenses you did not track in the app. If you weren’t tracking miles, don’t worry, you should be able to recover the majority of your expenses with a little detective work. Once you’ve gathered your documents, you’ll want to prepare your tax return. You have lots of options here. If you’re seeking professional tax assistance, we highly recommend you take advantage of our partnership with H&R Block. If you expect you made less than $54,000 in 2017, you may also qualify for free tax filing assistance through the IRS’ free tax filing services. You can also keep it old-school and prepare your returns by hand, just like 14-year-old Warren Buffett. 2017 tax returns are due April 17. This means your return must be postmarked or electronically filed by 4/17. If you know you’ll need more time, the IRS will expect to receive a filing extension by this date. Lastly, first quarter estimated taxes for income earned between January 1st and March 31st are due on April 17. The IRS estimates 90% of refunds will be issued within 21 days of filing. Electronically filing your return will speed up internal processing, and is likely to get you your return as fast as possible. If you claim the Earned Income Tax Credit or the Additional Child Tax Credit, the IRS will not be begin to issue these returns until February 27th. Regardless of your situation, beginning in late February, you can check on the status of your refund using the Where’s My Refund online tool. Just spent an hour combing through old bank statements? Tired of digging receipts out of your glove box? Make next year's tax filing go smoother than ever by logging your expenses and miles in Stride Tax. If you found yourself hit with a big tax bill, you’ll definitely want to calculate and pay your quarterly estimated taxes this year. In order to do so, we recommend setting up a dedicated savings account and depositing about 30% of each paycheck to use for paying taxes.